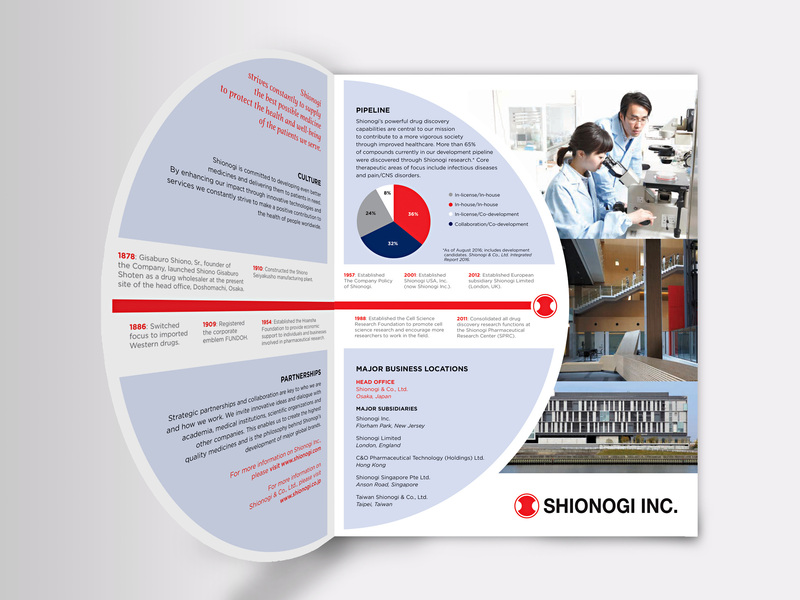 Shionogi is Japanese pharmaceutical company that is new to the US market. 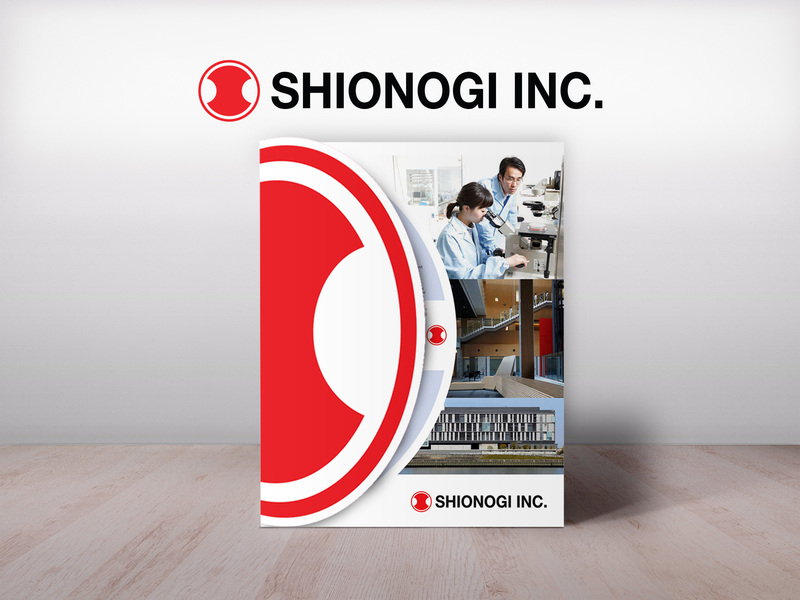 As they were launching in the US, Shionogi needed sales materials that introduced their products to the new market base and also educates about their storied history in Japan. As an integral part to the identity of Shionogi, the fundoh symbol represents trust, precision and their commitment to quality. It became the central design element and die cut of the marketing piece.